Crime fighting duo Electra Woman and Dyna Girl are small-town heroes with no real powers. After a cleaning up of their little city, these two super friends are about to make it to the big time. 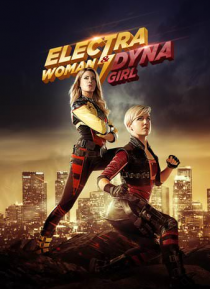 Swept up in the star-studded glamour of Hollywood, Electra Woman (Grace Helbig) soon finds everything she's ever dreamed of: fame, fortune, a new arsenal of high-tech gadgets, the attention of every super-s… tud in town - but Dyna Girl (Hannah Hart) wonders what price must be paid for her newfound stardom?